I would like to thank the many of you who have gone way out of their way to stand up for our schools, for their children’s educators, and for public education in New York. Governor Cuomo’s attacks have galvanized parents , students, and educators across the state, and have united in us in solidarity to protect our schools. 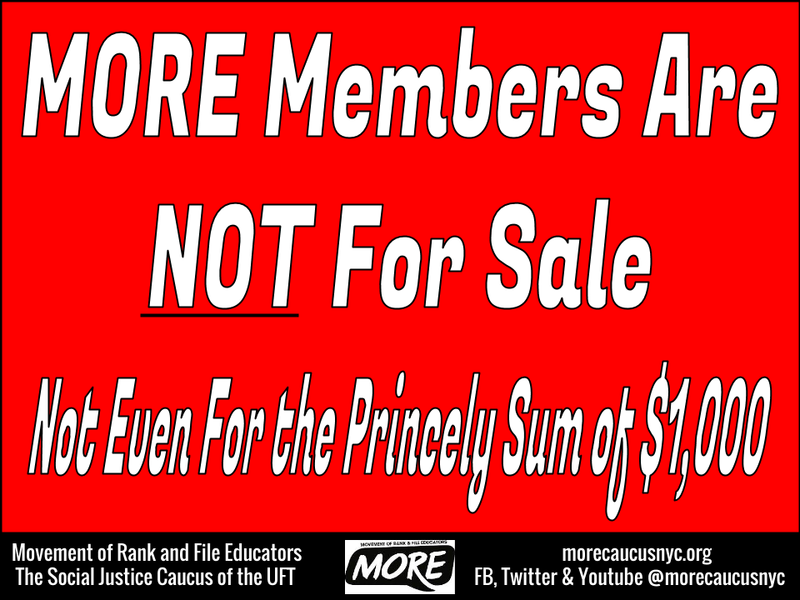 So many of you have volunteered your time, attended rallies, spoken with your friends in person and through social media, signed letters and petitions, contacted elected officials, opted your children out of the state tests, and otherwise demonstrated your resistance to the data-obsessed, privatization-oriented corporate “school reform” agenda typified by Cuomo’s budget proposals. I must make clear, though, that this is no time to declare victory or let up on the pressure; the budget that passed is a brutal one for public education in NY, different from Cuomo’s original proposals in only minor and cosmetic ways, though the Times and our the deeply compromised UFT leadership suggest otherwise. The funding secured, though it represents an increase, STILL does not satisfy the Campaign for Fiscal Equity lawsuit. The teacher evaluation system, though technically kicked down the road a bit to high stakes testing advocate Meryl Tisch and other like-minded bureaucrats at the State education department, is already pretty well established at this point, and it is everything we feared as far as escalating the testing regime, disempowering and demeaning educators (including principals), and almost certainly exacerbating the looming teacher shortage. Raising the charter cap (some would say the true heart of Cuomo’s proposals because charters are the main interest of his most ardent financial backers, hedge fund managers) has also been delayed for a few months, another fight soon to come. The Assembly Democrats who we thought had our backs threw us under the bus. That is not to say that we shouldn’t take stock and appreciate how far we have come; we have mobilized in a way that is unprecedented, with staff, parents, and students uniting to stand up for the kids and for public education in solidarity across the state in the face of a concerted divide-and-conquer strategy (now being further utilized to attempt to placate parents in wealthy districts where opt-out rates and other forms of parental resistance are high). But we cannot allow ourselves to think that we have won and sink into complacency; the enemies of public education have struck a significant blow here, and though the changes will not be visible in the halls of our schools immediately, it will not take long before we see the effects, among the most visible of which is likely to be the high teacher turnover which is so harmful to a school, whether caused by getting fired for having the wrong kind of students or simply becoming demoralized by being made scapegoats for society’s ills. If we truly believe that the children and educators of New York are more than a score, this must be only the beginning of our resistance to Cuomo’s depredations. 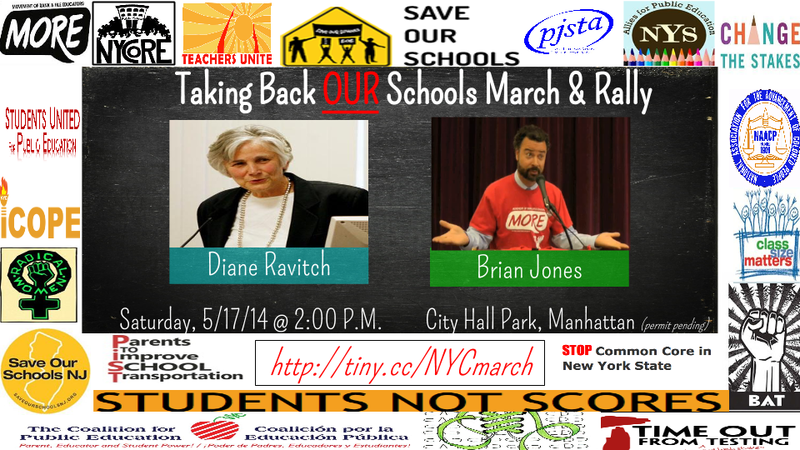 Watch the video for a sneak peek of the rally and march in front of NYC City Hall to defend public education from destructive, profit-driven corporate “reform”. Endorsed by 30+ parent, teacher, and student groups, including MORE. Featuring some great speakers, including a message from Diane Ravitch!